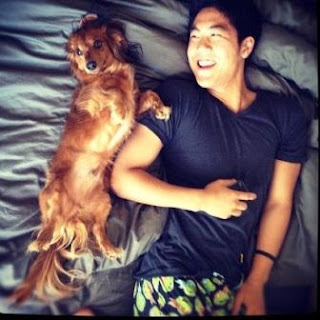 Ryan Higa a.k.a Nigahiga is an American YouTuber with Japanese origin. He has an estimated net worth of $3 Million. Ryan was born in Hilo, Hawaii on June 6, 1990 (age 26 years) and studied film making in University of Nevada, Las Vegas. Ryan Higa is a black belt holder in judo, a game he used to play regularly while in high school. He has another YouTube channel called HigaTV. His content revolves around comical videos, sketches and commentary on popular culture. The production of his video is of high quality, something that has attracted his loyal fan base. Apart from YouTube stuff, Ryan has an IPhone and Android app called TeeHee. He also sells merchandise on the side to increase his net worth. Having created the channel in July 2006, Ryan worked closely with his friends Sean Fujiyoshi, Tim Enos and girlfriend Tarynn Nago (the trio better known as Yabo crew) to make it grow rapidly. Nigahiga YouTube channel is almost hitting 19 million subscribers as of late December 2016. It accumulates an average of 48.5 million views and 220,000 new subscribers every month. It’s the 19th most subscribed channel on YouTube. Ryan Higa is currently dating Andrea Thi. Whenever he is in his home town he does feature the Yabo crew on his videos.